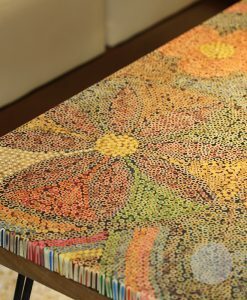 15,962 is an impressive number of colored pencils used to build Garden of Eden Colored-Pencil Coffee Table – one of the luxurious masterpieces of Nguyen Moc Décor. 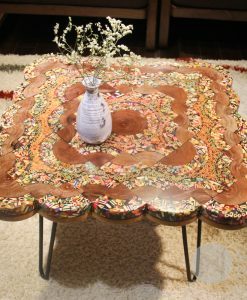 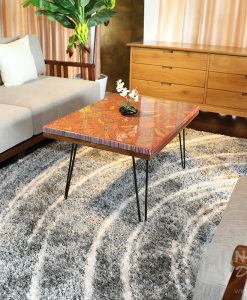 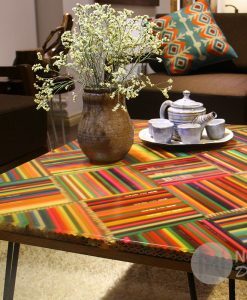 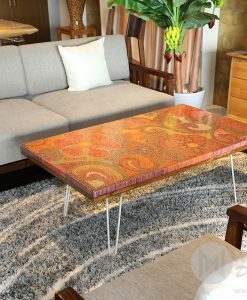 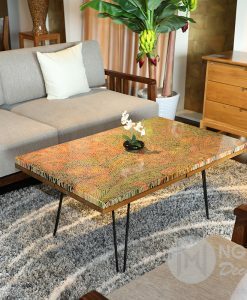 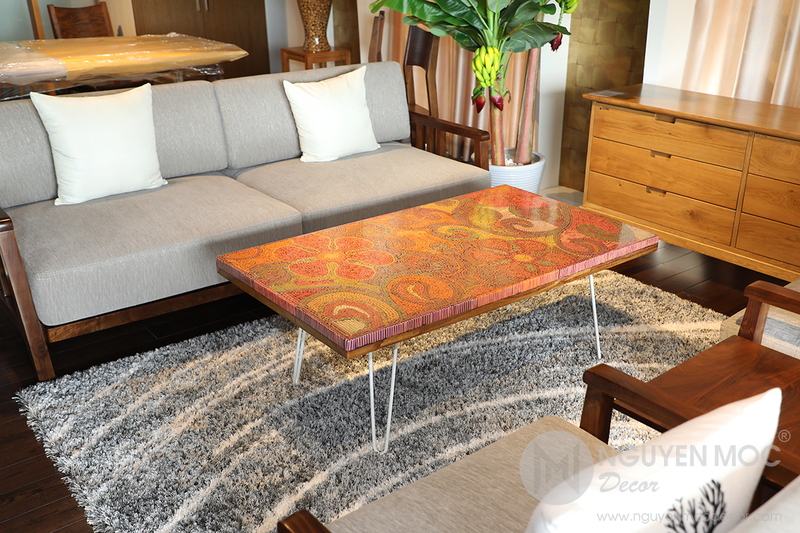 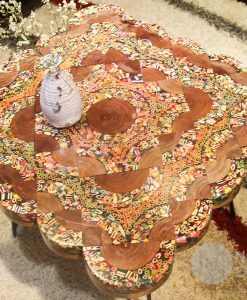 Taking inspiration from the Garden of Eden – the first dwelling place of mankind, Garden of Eden Colored-Pencil Coffee Table is the unique artwork that was ultimately handmade by the skillful artisans of Nguyen Moc Décor. 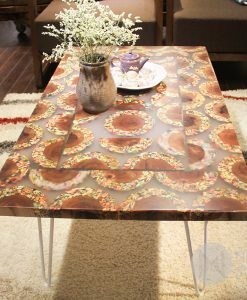 According to the Bible, the Garden of Eden is the sanctuary for the righteous people where the humans are desired for. 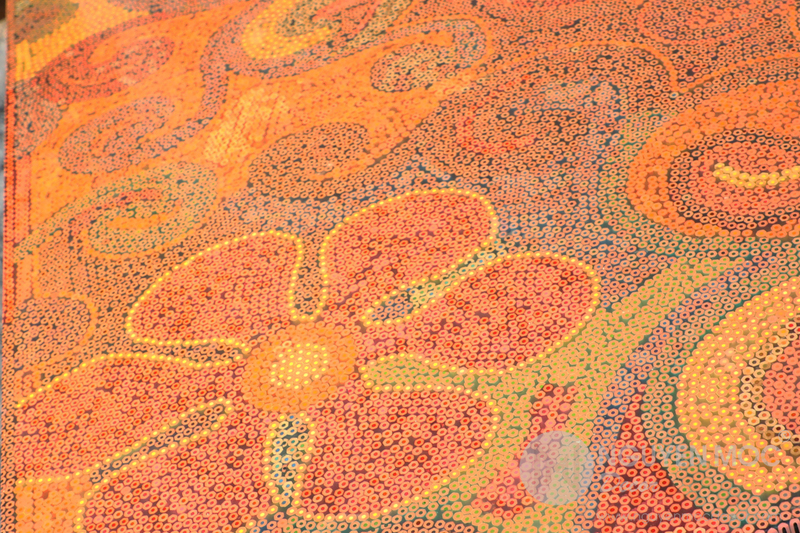 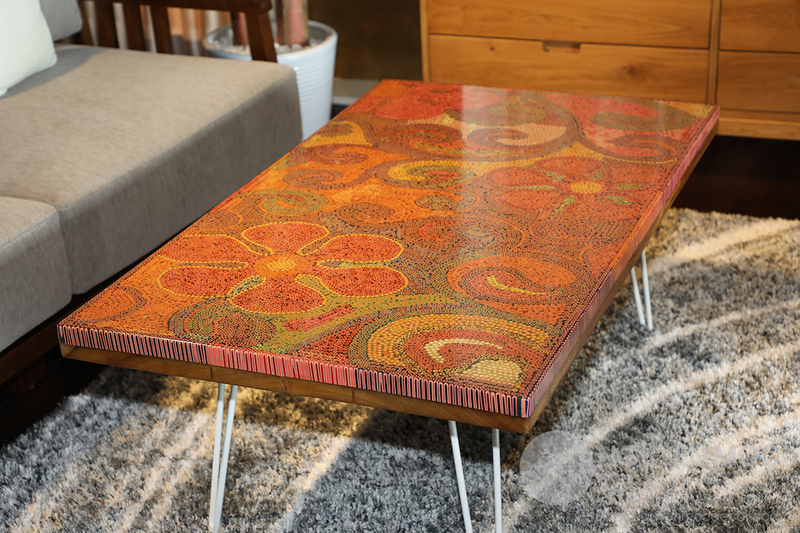 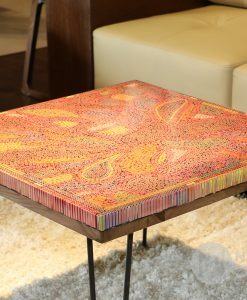 With the implication of bringing the customers the good mood at the first seconds you set the foot back home, Garden of Eden Colored-Pencil Coffee Table was born with the elaborateness of gluing each piece of colored pencil to make sure of the designed patterns and the steadiness of the hairpin legs. 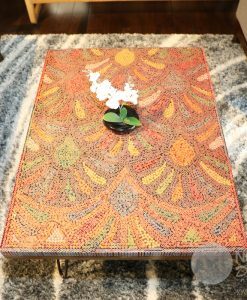 In order to prettify your warm home with luxurious furniture, Garden of Eden Colored-Pencil Coffee Table of Nguyen Moc Décor is extremely an excellent choice! 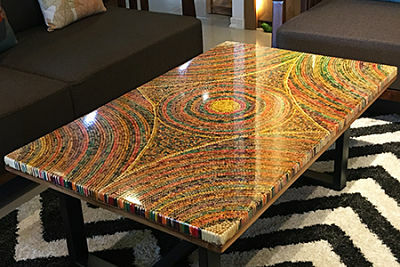 Contact us to possess this unique masterpiece! 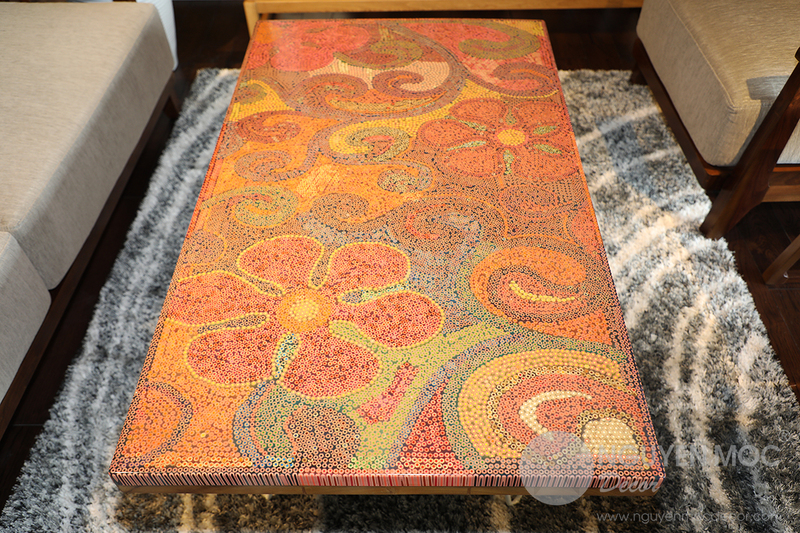 Garden of Eden Colored-Pencil Coffee Table is still outstanding without the support of decorative accessories. 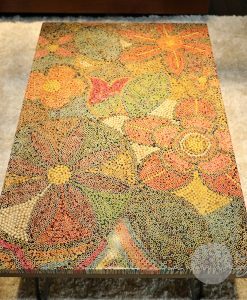 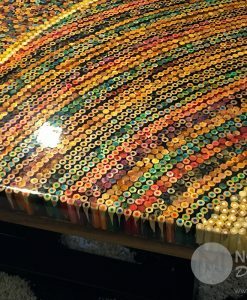 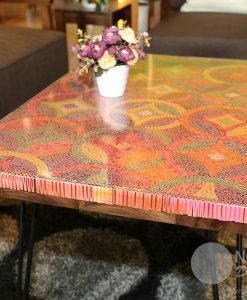 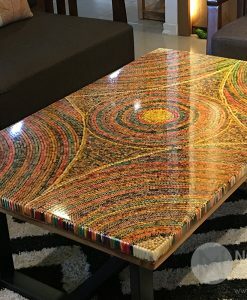 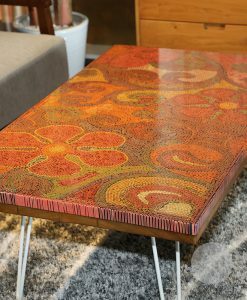 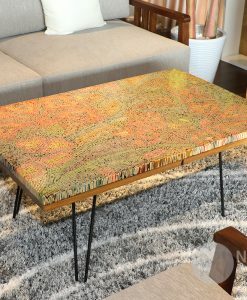 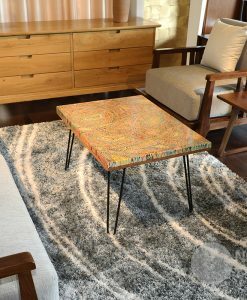 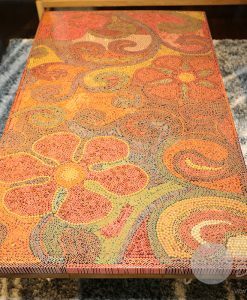 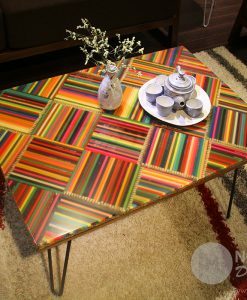 Resin epoxy is used to glue each piece of colored pencils, ensuring the high-standard quality of Garden of Eden Colored-Pencil Coffee Table. 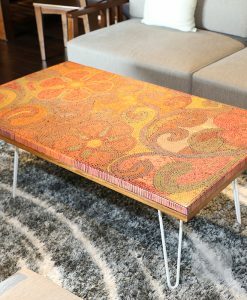 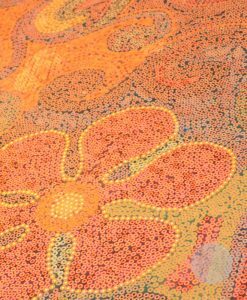 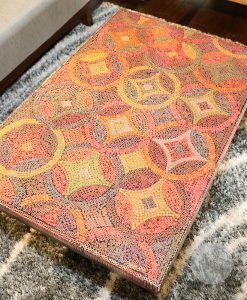 Garden of Eden Colored-Pencil Coffee Table mildly attracts the attention thanks to its harmonious hues. 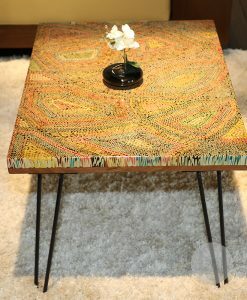 Each photographic angle gives us the different view of the luxurious colored-pencil coffee table. 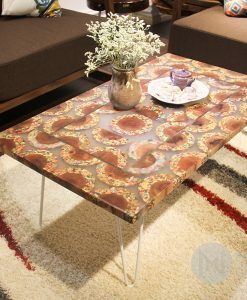 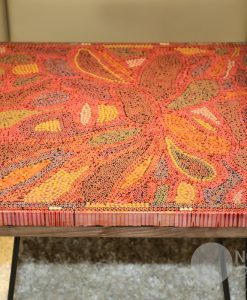 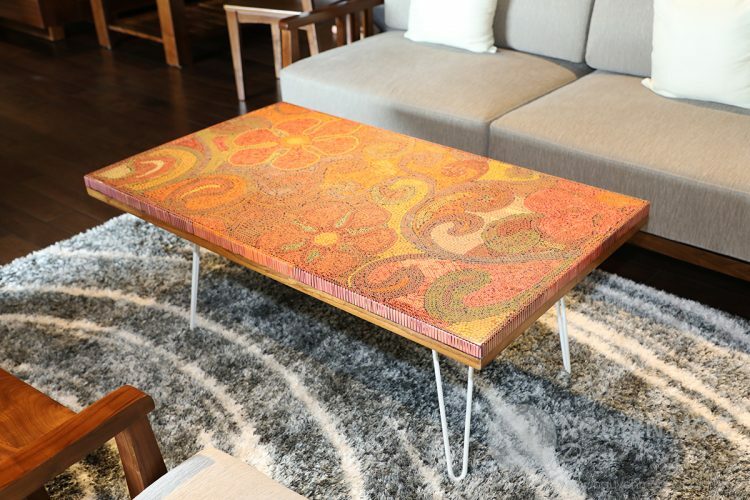 The hairpin legs are an indispensable part to highlight the beauty of the Garden of Eden Colored-Pencil Coffee Table.